Natalia caught this little guy doing his thing. They always look so happy. These sloth have only two toes on their forefeet. 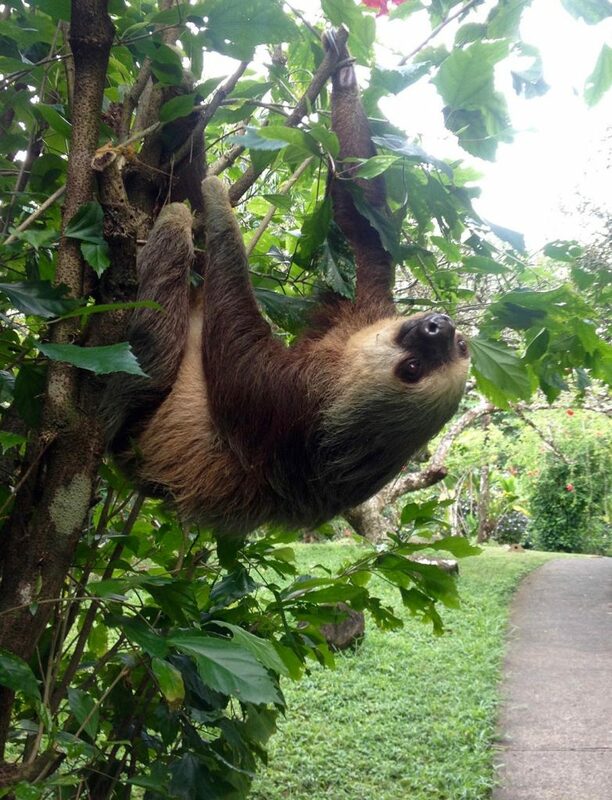 Like the other sloths, they have three toes on the hind feet. 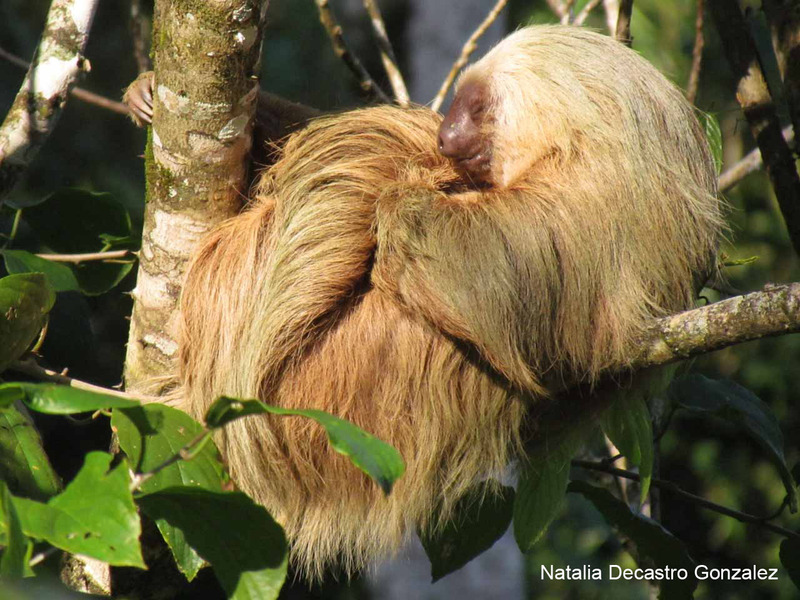 These two-toed sloth have a body length of between 58 and 70 centimeters. 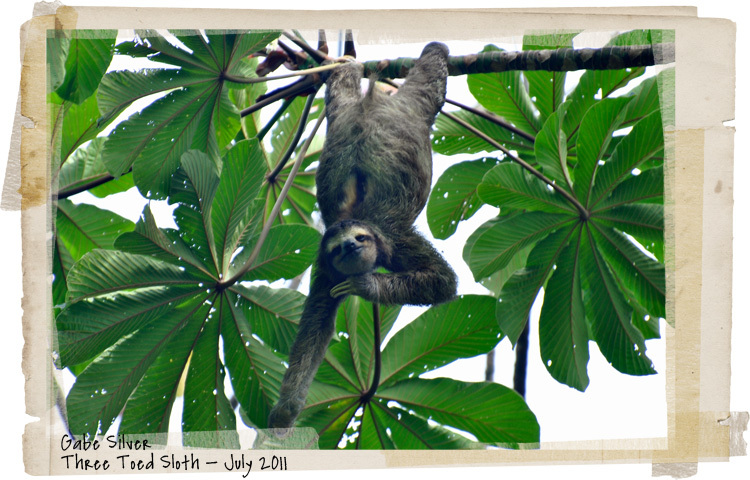 The snout is more prominent than that of the three-toed sloth. 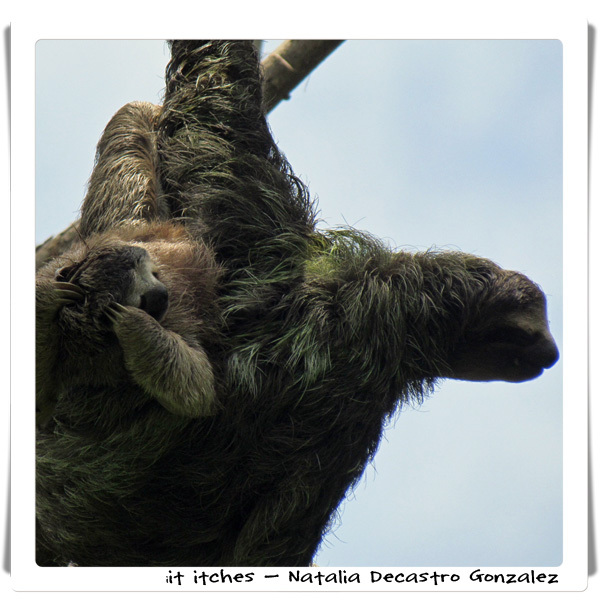 The two-toed sloth’s fur is longer and they do not have a tail. 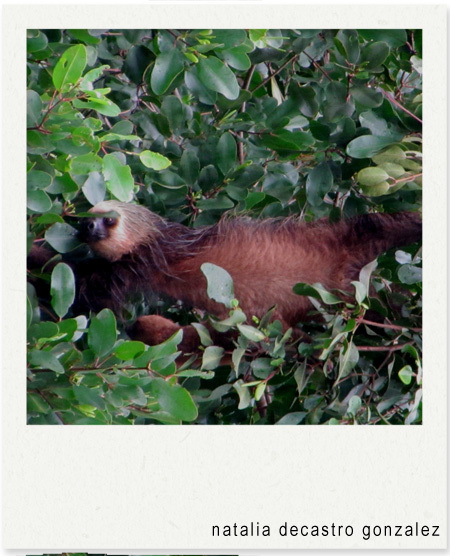 Two-toed sloths have a gestation period of six months to a year depending upon the exact species. The mother gives birth to one baby, while hanging up-side down. The young are weaned after about a month, but it stays with its mom for several more months. Females reach sexual maturity around three years old and males between four and five years old. 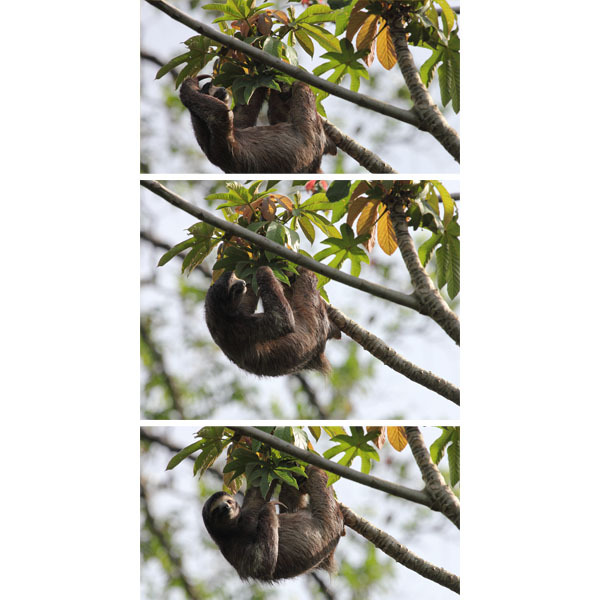 Two-toes sloths are mostly nocturnal animals that spend a large part of their lives hanging up-side down. 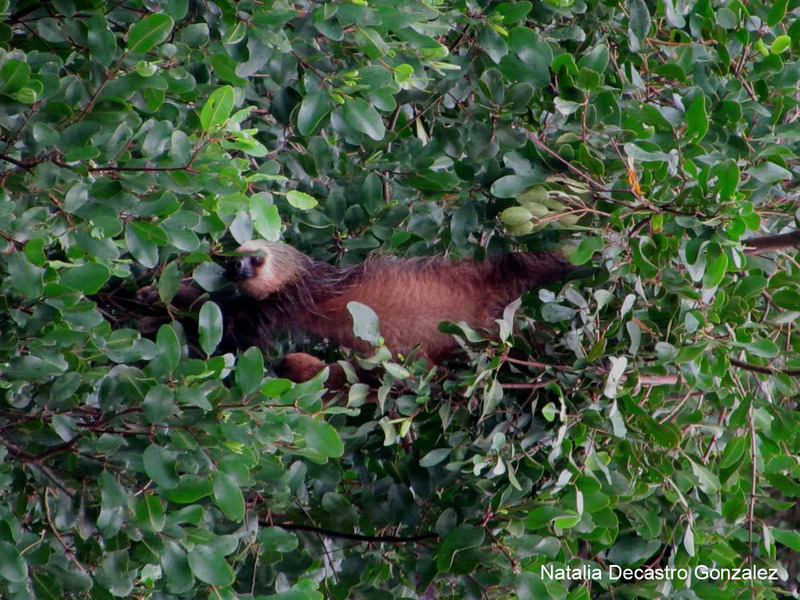 They tend to be more active than three-toed sloths. 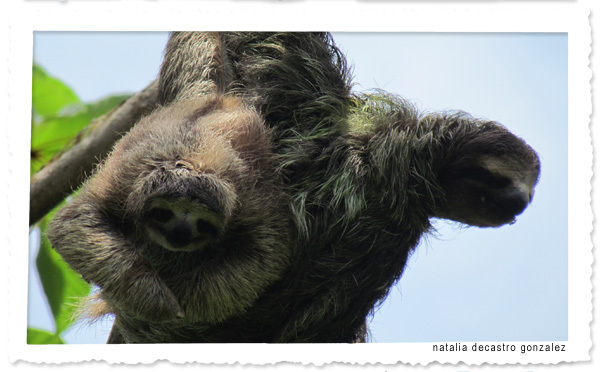 The two-toed sloth prefers to descend with its head first. 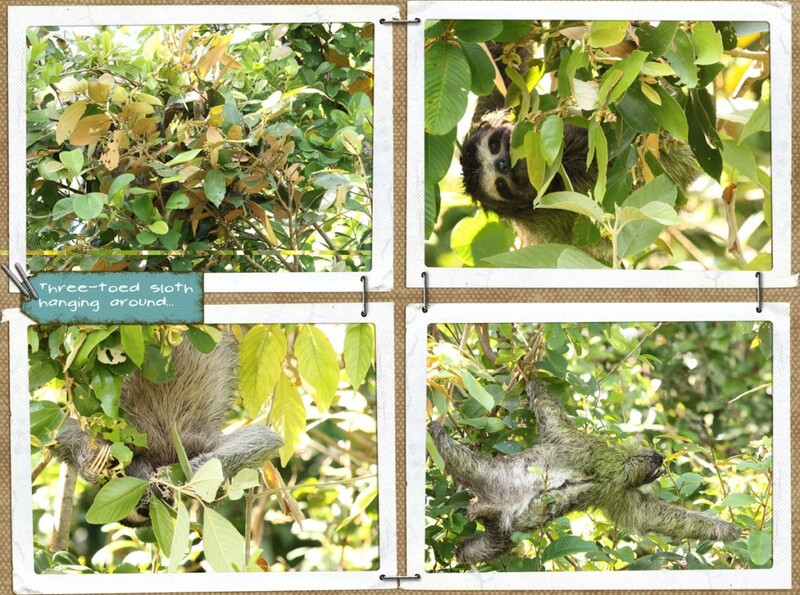 These sloths eat primarily vegetation but they do eat some small rodents. They have large stomachs with multiple chambers to help aid in the digestion of plant matter that they eat. Food can take up to a month to digest.